Tea can make a fantastic component in a cocktail recipe. This Gunpowder Gimlet cocktail takes top honors, impressing with its magical mix of infusions. There may be just four ingredients in this recipe, but they are a treasure trove of unique flavors. It begins by prepping two ingredients, including a 2-hour infusion of green tea in Ford's Gin and a special pistachio honey syrup, which also takes about 2 hours (how convenient is that!). 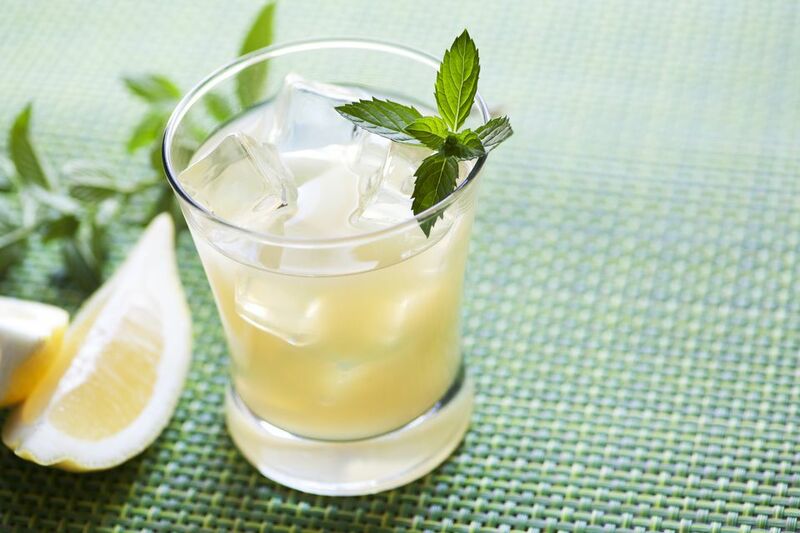 It is this nutty syrup that really set the drink apart and gives the classic Gimlet a nice, modern spin. While you have the pistachio syrup, use it to sweeten your green tea. It's a natural compliment as this recipe proves and should prove useful in a number of other drinks as well. Strain into a chilled old-fashioned glass with fresh crushed ice. Add 1/4 cup of green tea leaves to a 1-liter bottle of Ford's Gin. Allow to steep for 2 hours. Strain out tea leaves and pour into a bottle with a tight-sealing lid. Add salted pistachios and equal parts honey and water to a saucepan. Bring to a boil, stirring constantly, then turn off heat. Let cool and sit in pan (covered) for 1-2 hours. Strain out pistachios and bottle in a jar with a tight-sealing lid. Recipe courtesy Ben Carpenter, Head Bartender at Green Street Restaurant in Pasadena, California.